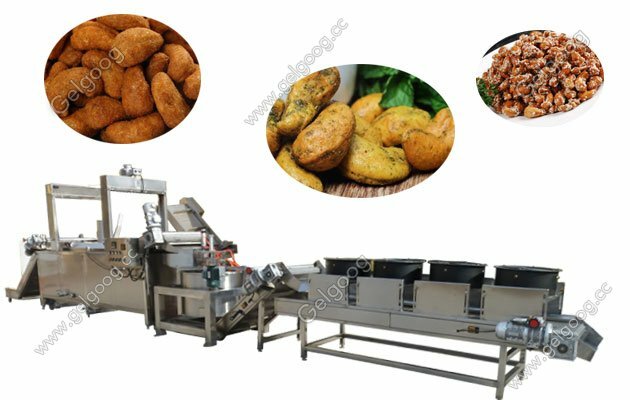 This fried peanut processing line can realize automatic working, high working efficiency and automatic discharging. Also suitable for cashew nut,broad beans,grean beans and other nuts. 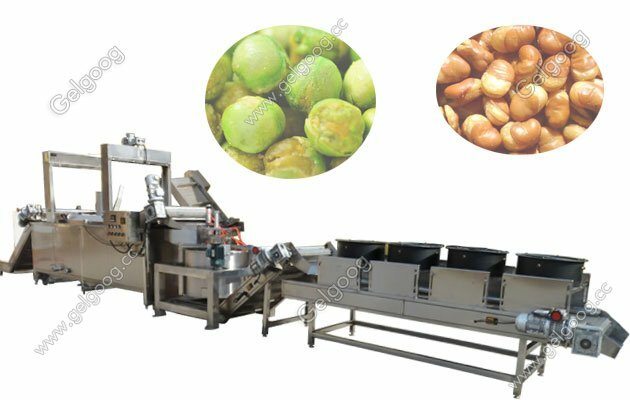 The automatic nut fryer processing line can realize automatic working, high working efficiency and automatic discharging. Also suitable for cashew nut,broad beans,grean beans and other nuts. 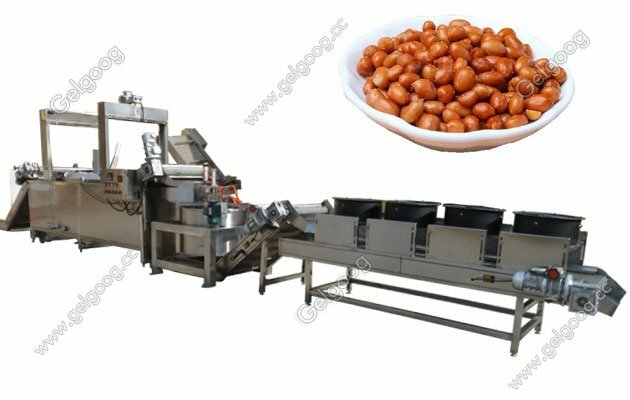 Automatic automatic beans fryer machine characteristics: Fried process uses automation control without manual operation, and product quality is stable. Automatic filtering slag system extend the period of edible oil. Oil removing effect is good, for de-oiling machine has strong centrifugal force. 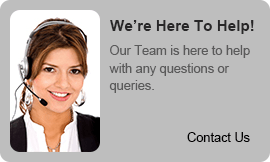 The material of fried peanut processing machines are all made of Stainless Steel 304. 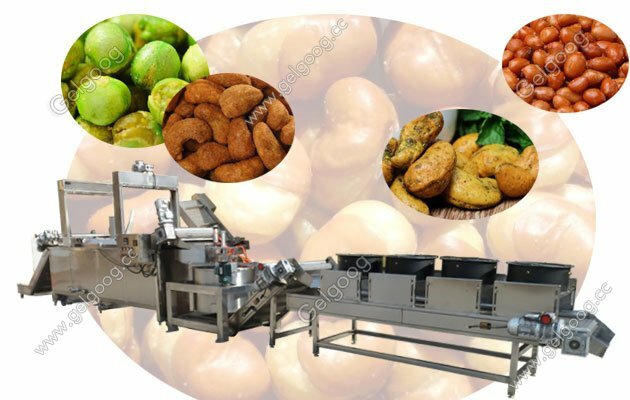 One year guarantee of nut frying processing machines. For cashew nut fryer machine, it is gas heating. If in your city, electric is more cheaper than gas.then the fryer machine can be made to be electric heating to saving your cost. Note: We can provide peanut frying machine design proposal according to the customer actual need. 2. Using temperature control module. 3. Compact structure and easy operation. 4. Advantages of continuous production, saving labor. 5. Automatic filter scrap system. 6. Double conveyor type food, belt speed adjustable frequency. 7. Food grade stainless steel, frying time and temperature can be automatically controlled according to the quality of snacks. 8. Stable performance and good quality.